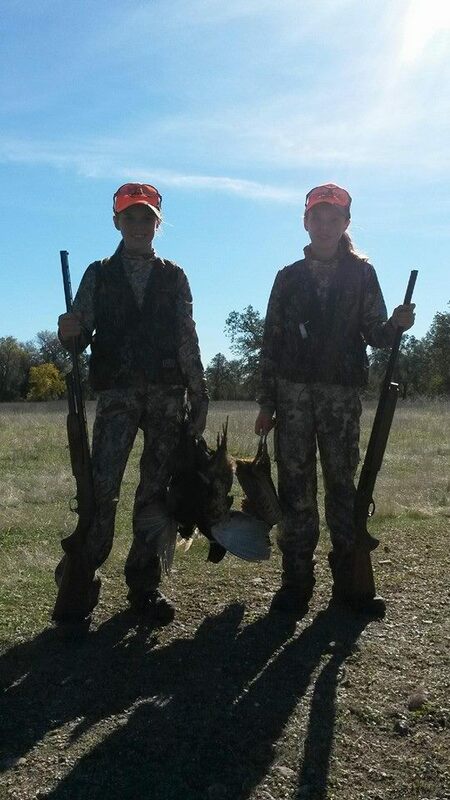 By Morgan & Mason Baseley of 2girls hunting. For an organized youth pheasant hunt, did you know that a pheasant needs to be sleeping when it is placed out in the field before it is flushed? We learned this while attending a Pheasants Forever mentored youth hunt. The birds are put to sleep by gently rocking them with their heads tucked under their wings. Then they are placed in the field where they will remain sleeping until the dogs flush them for the hunter. We are extremely blessed to have parents that have raised us up with hunting in our lives. From an early age we’ve been out in the field with our dad, trying to follow in his footsteps. However, we continue to learn and find interest in those areas of hunting that remain new to us. Educating our generation is the next big challenge. The importance of having organizations out there to help teach and encourage the youth to participate in hunting and shooting activities is critical. If our generation is not educated on the benefits that hunting offers to conservation and wildlife management, in future years our ecosystem could be out of balance. Our generation needs to become educated on our second amendment rights. Having mentors teach proper gun safety and hunting etiquette will ensure that we are becoming responsible gun owners. This is one of the most important steps in maintaining our constitutional rights. Having programs geared towards guided youth hunts, youth only hunts and extended season youth hunts helps with getting our generation involved in the outdoors. Having programs dedicated for youth to experience a hunt for the first time, getting some extra practice or hunting an animal that is new to them are important to keep us excited and engaged within the hunting community. This was our second year participating in our local Pheasants Forever chapter’s mentored youth hunt, and we look forward continuing our involvement with such a dedicated organization. We are very passionate with helping to enlighten our generation on the importance of being educated and speaking up for our rights. We are extremely grateful to organizations such as Pheasants Forever and their mentored youth hunts to help keep our generation involved.